OK, true confession time. Before 2003 I rarely looked at a product's ingredient label. I saw no point in it; if it tasted good - I ate it. Hmmm, could this have been a contributing factor in my steadily increasing weight and my rapidly declining health? Yeah. It should be no surprise that attention to detail increases our chances of success in the gluten-free lifestyle. After all, something measured in parts per million rearranges our lives. Talk about little things making big things happen. Coach Wooden’s words take on a whole new meaning for those with a gluten-related disorder. 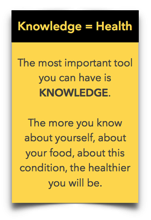 Knowing what's in our food is probably one of the most important details. President Theodore Roosevelt signed into law the Pure Food and Drugs Act of 1906. Known as the Wiley Act, it gave the federal government the power deem a food “misbranded” if ingredients were “false or misleading,” or deemed “adulterated” if it contained ingredients harmful to health. Sadly, it would take nearly a century before the presence of food allergens would be recognized. A decade later, gluten-free regulations finally make it on the books. Only a few different governmental agencies regulate food safety. In this article, we’ll be discussing the US Food and Drug Administration (FDA) and the US Dept. of Agriculture (USDA). The US Treasury’s Alcohol and Tobacco Tax and Trade Bureau (TTB) regulates beverage alcohol [as in gluten-free beer]. Sorry beer lovers, we won’t be getting into those regulations in this article. The FDA regulates most packaged foods we see on the store shelves. The USDA regulates meat, poultry and egg products, and mixed food products that contain more than three percent raw meat or two percent or more cooked meat or poultry (e.g., soups, chilis, frozen entrees). Estimates show that 80% to 90% of USDA products voluntarily comply. If you see a “Contains” statement or other indication of a USDA product, major food allergen will be plainly listed. What are the major allergens as defined by the FDA? You’ll notice the Top 8 list above only includes wheat. 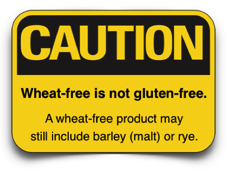 It does not include gluten-containing ingredients barley (malt), rye, or oats*. Fortunately, barley is most commonly listed as “barley," "barley malt," or simply “malt”. Rye is rarely used in a form other than flour and would appear in the ingredient list. *Oats (and products that contain them) that are not explicitly certified or labeled gluten-free are off-limits to anyone following a gluten-free diet. They are a high-risk ingredient because they are exposed to substantial amounts of gluten via cross-contact from field to packagings. Oats require additional knowledge and careful consideration. "What Oats Through Yonder Package Breaks?" Nutritional labeling offers up a wealth of valuable information. However, it does not relate to gluten. The ingredient list is our primary area of interest. Here we will find all the ingredients used in the product listed in descending order based on weight. An ingredient weighing the most will be first, and the ingredient weighing the least will appear last. The ingredient label is your frontline defense in determining the gluten-free status of a product. 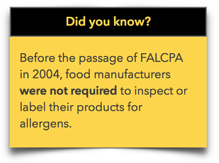 An important fact to know: FALCPA labeling regulations do not apply to the potential or inadvertent presence of food allergens resulting from cross contact. Cross-contamination of a food or ingredient can occur at harvest, transport, manufacturing, or packaging. Calling the manufacturer may be required not only for ingredient clarification but also to determine manufacturing practices. Manufacturers are encouraged [not required] to follow Current Good Manufacturing Practices (CGMP). Part of CGMP means developing and executing food allergen control plans. 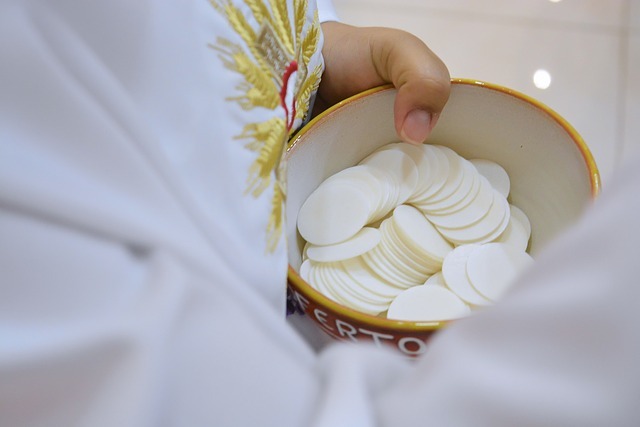 The plan must address six elements: training of processing and supervisory personnel, segregation of food allergens during storage and handling, validated cleaning procedures for food contact equipment, prevention of cross-contact during processing, product label review and label usage and control, and a supplier control program for ingredients and labels. Gluten-free experts and third-party testing tell us Food Allergen Advisory statements are not useful in determining the gluten-free status of a product. You may find a product labeled “Gluten-Free and/or Wheat-Free” or even bears a GFCO gluten-free certification logo that has a Food Allergen Advisory statement that includes wheat. Yes, this product complies with current FALCPA labeling laws. For products not certified gluten-free, call the manufacturer to ask questions. Ask about the facilities, the production lines, and their policies, procedures for allergen handling, and testing protocols. If they do not answer the questions to your satisfaction, find another manufacturer with a similar product that does meet your needs. As we discussed above, FALCPA does not directly address gluten. Before the FDA could create regulations regarding “gluten-free,” they needed to define what “gluten-free” means. It took ten years for the definition to finalize, but the voluntary gluten-free labeling regulation went into effect August 5th, 2014. Notice the last sentence of the definition: "Also, any unavoidable presence of gluten in the food must be less than 20 ppm.” This means cross-contact. “Whoa, this is confusing and complicated. Isn't there an App?" Sure, there are several, but we're not covering them in this label reading article. We’re downloading the best app into your brain this very second - it's the knowledge you are acquiring. Labeling reading is a necessary (required) skill if you consume packaged/processed foods. It could mean the difference between sickness and wellness. Companies change product ingredients at will, generally without notice. The product label will reflect any ingredient changes. Most companies will refer you to the ingredient list found on the product for the most up to date information. A published list (on paper or electronic form) is only as accurate as its most recent update. 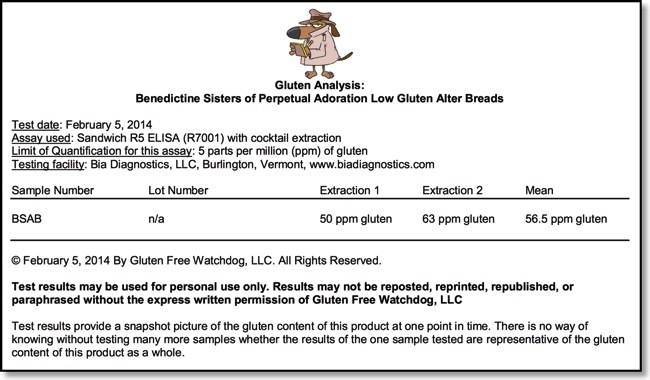 Look for a third-party gluten-free certification mark - like GFCO's. Gluten-Free Certification Organization requires all finished products and individual ingredients using the GFCO logo contain 10 parts per million or less of gluten. Know your certification organizations. When companies mark their products as GF it may appear as if they are actually certified. It might simply be a logo from their marketing or package design department. Read the ingredient list. Yes, even certified products. If you see any of following ingredients, the product is not gluten-free. Yeast Extract - this could be a by-product of the beer brewing process. Verify with manufacturer in non-GF labeled products. Vinegar - FDA defines the single word "vinegar" to mean apple cider vinegar. However through the certification process, GFCO has encountered some usages of malt vinegar labeled as "vinegar". Remember barley/malt is not required to be disclosed. Not a large area of concern, but if you are unfamiliar with a manufacturer or product, it might be a good idea to inquire about the source of their vinegar. Better safe than sorry. You’ve made it! I hope I’ve increased your knowledge on this multi-layered subject. Certified master life coach, Gina Clowes offers up some great labeling reading advice. In the confusing landscape of food labels, assumptions are risky but knowledge is power. The 2017 holidays are upon us, here is a list of turkeys that are labeled as gluten-free. If a turkey isn't on this list, it may be gluten-free, it just means it wasn't checked. Some turkeys are not gluten-free. Always check the ingredient list! If you are unsure, call the manufacturer and ask questions. Be aware that the US Dept. 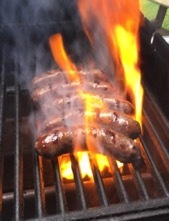 of Agriculture (USDA) regulates labeling for meat, poultry, egg products. USDA regulations for labeling allergens [like wheat] are not the same as the FDA regulations. Companies may voluntarily comply with FDA regs, but they are not required to disclose wheat, or barley, rye, or oats or any derivatives. Call the company to verify the source as they could be derived from gluten sources. About 80-90% of the USDA companies follow FDA allergen labeling regulations. 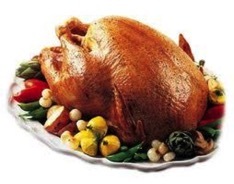 Stuffing a gluten-free turkey with gluten stuffing contaminates the turkey - it should not be eaten by those following a gluten-free/gluten-zero diet. 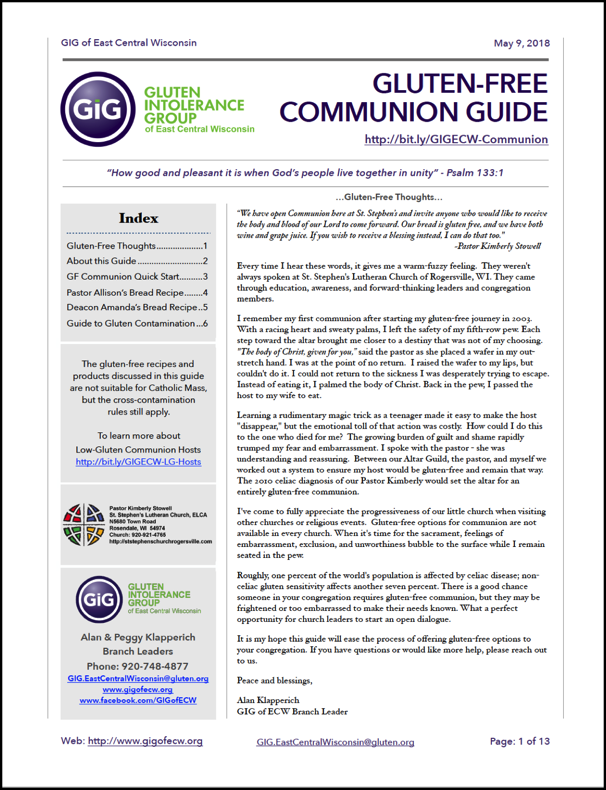 If you are making a turkey for a gluten-free guest, please read our Guide to Gluten Cross Contamination. They'll love you even more! If this is your first gluten-free holiday season, you might check out our Navigating The Holidays article for some hints and tips. 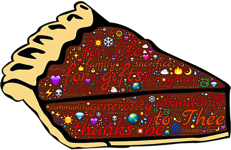 "For many, the holiday season is filled with smiles, laughter and lots of merriment. However, for those with dietary restrictions, it can be the complete opposite – fear, dread and lots of worriment." Looking for some holiday recipes? Gluten-Free Holiday Dinner Guide - complete with a few recipes! Need to prepare a gluten-free holiday dinner? Butterball can help! Our Butterball fresh and frozen raw unstuffed turkeys are always gluten-free, and our gravy pack included with our Butterball Whole and Boneless Breast items is also gluten-free. And for all the trimmings, check out the recipes below to find a variety of gluten-free side dishes and desserts sure to please all your holiday guests. 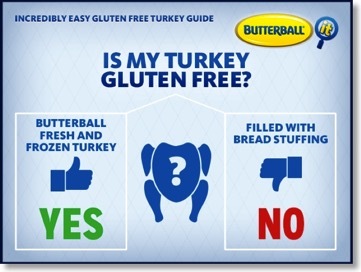 For a detailed explanation on our gluten-free products, visit Are Butterball Turkeys Gluten Free on our Frequently Asked Questions Page. Q: ARE BUTTERBALL TURKEYS GLUTEN FREE? A: All of the Butterball products are gluten free except for Butterball Stuffed Turkey (bread stuffing) and Butterball Frozen Meatballs. For our products that are packaged with gravy packets, the gravy packets are gluten free as well. The gravy contains rice flour instead of wheat flour and the modified food starch is corn based. Do your hams or turkey breast contain glutens? Our hams and turkey breasts DO NOT contain glutens. Honeysuckle While offers several gluten-free products, however, you have to check each product. Jenni-O is a Hormel Company. Hormel will clearly gluten (wheat, barley/malt, rye, oats). Although our products are labeled in compliance with government regulations, we believe the best practice is for you to read the labels on the products to determine if the food product meets your required needs. Parents and individuals with food allergies and/or food intolerances are responsible for reading the label of all products they intend to use regardless of how the product is represented on this site. To help those dealing with gluten sensitivity or allergies, we have a provided a list detailing the wide range of products we offer that are gluten-free. If you have any questions we would to talk to you. Please call our Customer Service Representatives at 1-800-523-4635 or submit your question online. Jennie-O has many items on their gluten-free list. Gluten-free products from website using their Filters. See Preferences in the left side bar - select Gluten-Free. Should you have further questions, please feel free to contact a consumer representative at 1-800-473-7383 Monday through Friday 9:30 AM to 6:00 PM ET, or email us at www.Perdue.com. 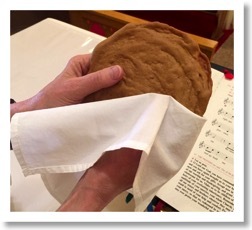 Is your turkey gluten free? Yes, our turkey is gluten free and casein free. However, our turkey gravy and our homestyle dressing contain wheat. Our marinated teriyaki turkey tenderloins contain soy. Please read the ingredients labels.